NADI, Fiji - April 15, 2018 - PRLog -- Cacaofiji is excited to announce their plans to acquire twenty five acres for over 10,000 new cacao planting in the Fiji Islands. This will be the first major planting in Fiji after the demise of the cacao industry in 1987. "The demand for CacaoFiji beans is increasing and we anticipate the trend to continue. We are in contract to purchase a neighboring land with native trees that will allow us to successfully begin our new planting. ," said Arif, Founder of Cacaofiji. The new farm will also be used as a demonstration farm for neighboring cacao farmers!" "The cocoa farms in Fiji are coincidentally located in areas of high unemployment and high poverty. CacaoFiji has steadily provided employment in the locality and in 2017 embarked on buying cocoa beans from neighboring farmers. Therefore, this farm will bring enormous social, environmental, economic and educational benefit to Fijian cacao industry and farmer families," said Arif, the managing director. 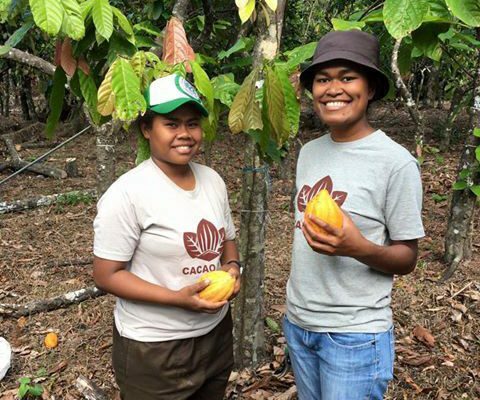 "We have recently launched our Kickstarter campaign with excellent rewards and look forward to support from the chocolate family and friends, so we can plan for a sustainable supply of Fiji orgin cacao for the years to come . Be sure to visit our page and support our campign or click on https://www.kickstarter.com/projects/cacaofiji/reviving-c...."